One of Hollywood's first horror glamour girls, best known for starring in Ed Wood cult film Plan 9 from Outer Space. She worked as a dancer and singer around Hollywood, once crossing paths with a young Norma Jean Baker, now known as Marilyn Monroe. She dressed up as Morticia Addams from Charles Addams' The Addams Family and won top prize at a masquerade ball. 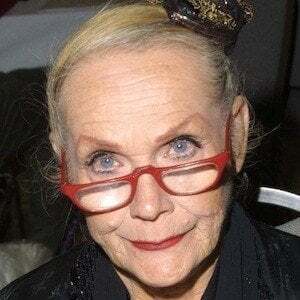 She was born Maila Nurmi, in Petsamo, Finland. Her uncle Paavo Nurmi was a multiple Olympic medallist in distance running. Legend has it she was fired by Mae West from the production of Catherine Was Great because West feared the competition from her beauty.